Marion Cobretti: [narrating] In America, there's a burglary every 11 seconds, an armed robbery every 65 seconds, a violent crime every 25 seconds, a murder every 24 minutes and 250 rapes a day. Q: What are the differences between the British BBFC 18 DVD and the uncut version? Q: What are the differences between the workprint and DVD version? 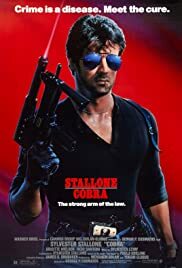 Stallone's 80's best underrated Action Horror film Cobra! My favorite best Stallone action movie. 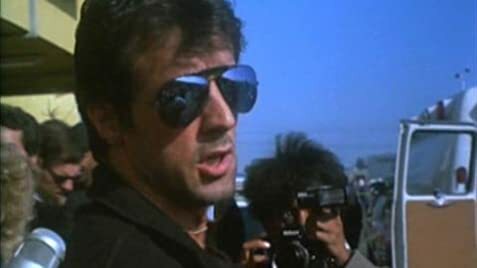 But from the 80's that Stallone made action films is the first stand alone film not meaning Rocky and Rambo. Cobra will never stop been my favorite best action movie horror thriller from the 80's that is out there. It is one of my personal favorite movies. I wish only the movie wouldn't be that short but still it was directed by George P. Cosmatos who directed Rambo this movie was made right after Rambo: First Blood Part II was released. Cobra is also a Cannon film and one of the best action horror thrillers that is out there. Cobra simply rocks! And it is a highly entertaining underrated action flick that guarantees the viewer a great show. Cobra is another one of those movies. It's not deep, it has a social message but doesn't really care about it. Its just pure old fun. The night slasher kills people randomly. He targets anyone, anywhere. The police don't have a clue, they can't stop him, all they can do is wait for the next death. But that all changes when Ingrid gets a good clear look at the chief of the gang. Yes, it's not one person, it's a group of killers that have set their minds on hunting the weak of society. Now they'll do anything to kill the only witness, the woman that can finish their 'dream' but they didn't count on one man: Marion Cobretti. The movie plays with the idea that murderers use the system to get away with their crimes. It explores the fear in society, the impotence of the courts and introduces Cobretti, a cop who doesn't care about the law only his justice. Although I don't agree with this I still enjoyed the movie since Stallone didn't spend much time making his point, rather went fast for the action. YOU'RE THE DISEASE, AND I'M THE CURE!!!!!!!! Cobra is a 1986 American action film directed by George P. Cosmatos, and written by Sylvester Stallone, who also starred in the title role. The film co-stars Reni Santoni, Brigitte Nielsen and Andrew Robinson. 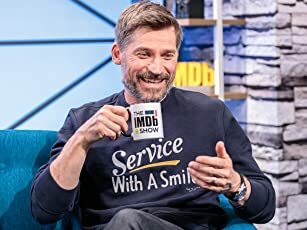 The film received negative reviews, with much criticism focused on the overuse of genre tropes, yet it debuted at the number one spot on the U.S. box office and became a financial success. A tough-on-crime street cop must protect the only surviving witness to a strange murderous cult with far reaching plans. The cult and their leader The Night Slasher are killing people all over the town in Los Angeles for believing in their New World so that will the strongest people survived but their is one tough cop that stands in their way and he must protect a surviving witness that cab identify the Slasher. I seriously love this film from the 80'a and I wish there would be more films like this. The Action sequences, the explosion, death scenes are fantastic after Rambo here comes Cobra. 91 of 96 people found this review helpful. Was this review helpful to you?